Luma Series - ZEfx - Prolume, Inc. 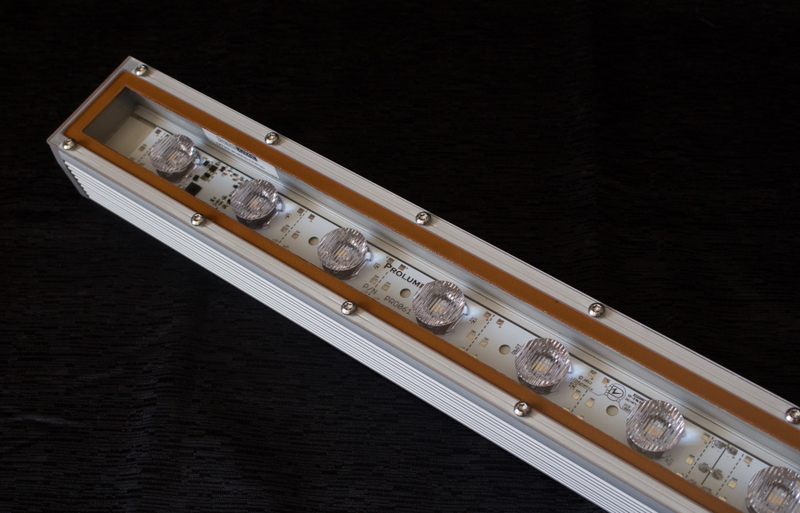 Constructed using an industrial grade aluminum extrusion built to withstand the test of time, the ZEfx is an ideal solution with a two-inch pitch light engine that provides general illumination and pathway lighting for extreme environmental applications. ZEfx is offered with either a standard or high output light engine configuration and delivers up to 469 lumens. It is housed in a heavy duty extruded aluminum envelope and protected by a UV resistant polycarbonate lens. The ZEfx is available with several optical options to deliver the desired beam sculpting. It includes onboard 0 – 10 VDC dimming and the ability to be mounted in either an articulating or fixed position. ZEfx is offered in one inch increments up to four feet in length. It can be configured either in series or parallel to a single driver.